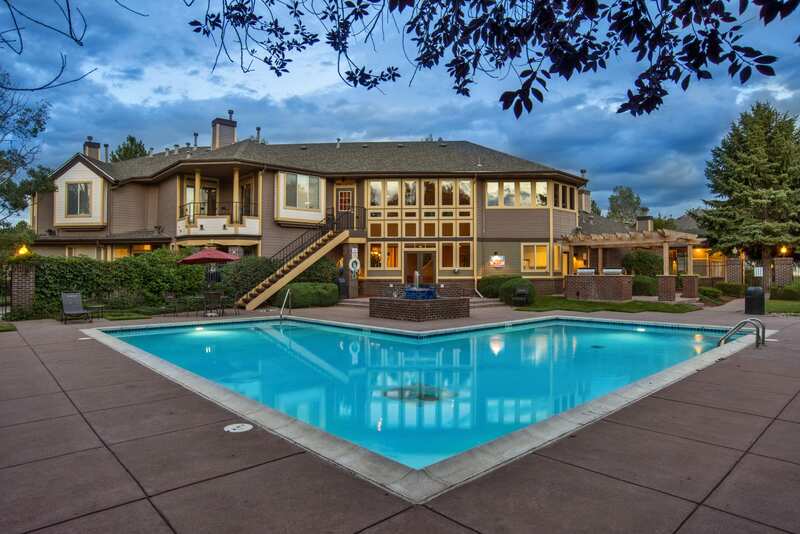 The commanding Catamaran Club, a 26,000-square-foot clubhouse, was designed and built to distinguish the community from other apartments in Denver in the 1990s. At the heart of conversations about the Breakers Resort with the original developer as well as the new majority owner, the discussions always end up acknowledging an emotional connection to the project. The property, which began with a tumultuous, undefined start, gradually grew into a labor of love and a vision for other multifamily communities to follow. But as the development world caught up, the Breakers Resort must begin its next stage. This October, the Breakers sold to Pensam Residential and its partners for $350 million. With the original developer, Koelbel & Co., staying on as an owner, a partnership was formed over an appreciation for the site’s history and an eagerness for what awaits it as they embrace the latest iteration of a lifestyle community. “In addition to it being a tremendous investment, there was definitely some emotional connection to the beginnings and the history of the property and wanting to play a part in the future of it,” said Mike Stein, Pensam Residential principal. Koelbel & Co. began acquiring the high-density-zoned ground in the late 1970s, during the condominium craze. But as momentum built and plans progressed to develop condos on the land, the market was rocked by the oil crash of the 1980s, said Walter “Buz” Koelbel, company president. To make matters worse, thousands of foreclosed HUD condo units began flooding the market. The Koelbel company found itself sitting with 190 acres of land, which included a 60-acre lake in a somewhat no-man’s land location with no concrete plans. However, a new vision came to Koelbel on a tour of a 1,700 unit apartment property in Atlanta. He realized they could do something similarly unique in Colorado. Immediately upon returning the Denver, Koelbel set out to find a partner. Most developers didn’t want to wade into a joint venture, and with the weak state of the market and a pull of intrigue into what the property could become, Koelbel wanted to stay in. He found his partner in Al Feld, founder and president of The Feld Co., who was bored with the present day’s “average apartments” and was eager to focus his design-oriented skills on something new and different. Together they set out to push the envelope in terms of what people expected to see in an apartment in Denver. While the process was far from over, a vision began to take form. “Because it had a 60-acre lake, which is obviously one of the big, unique amenities and catalysts to the whole property, we thought we could do something much higher end and different than the normal apartment projects,” said Koelbel. In total, they built six different communities between 1989 and 1997 on the land, totaling 1,523 units featuring 42 different floor plans, from townhome rentals with double-car attached garages to standard three-story walk-ups. 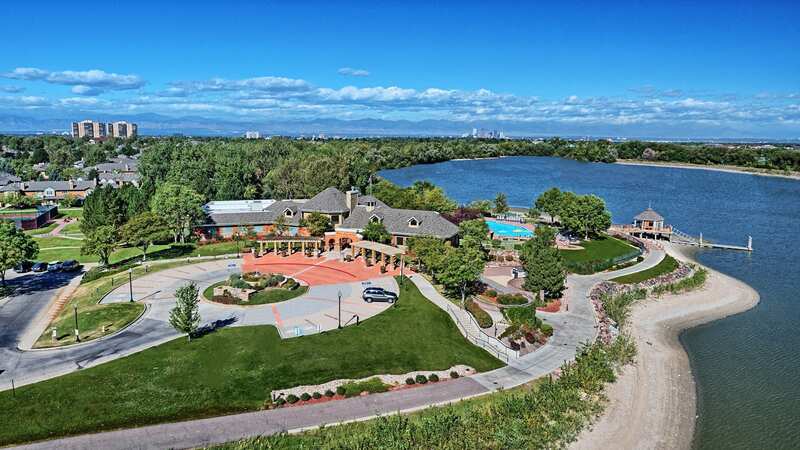 At the time, the Breakers Resort’s presence pushed other Denver multifamily developers and accelerated the philosophy of providing a better overall package to the renter community, Koelbel said. Standard upgrades to the community were performed over the years, including in 2006 when the Bascom Group bought out Feld’s interest to became the majority owner. Over the last eight or nine years, the Breakers has seen another $15 million or $17 million worth of improvements, Koelbel said. This past year, Bascom decided to sell its majority ownership. However, the project had become a legacy piece to Koelbel, and one that held “great emotional attachment” to him and his company, having been a project he’d worked on for almost his entire career. Koelbel also believed there was still upside opportunity for the Breakers Resort, largely due to its location. The property went from a C+ location, without any major facilities or services nearby, to an ideal infill location over the past 27 years, he said. 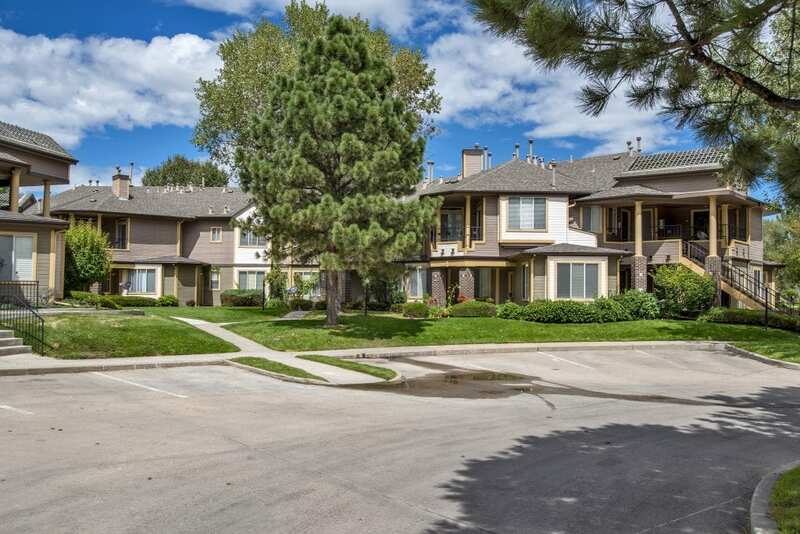 This is thanks in large part to being located near Lowry and Stapleton, both enjoying successful redevelopments as well as the Fitzsimons Anschutz Center, which will employ over 30,000 people, and Cherry Creek, which has been enjoying a major growth spurt in the past 10 years. In early October, the Breakers Resort sold for a record price of about $350 million to Pensam Residential, a Miami-based asset management firm that was founded in 2009. The firm was initially drawn to the property’s uniqueness, citing the physical layout and the size of the site, as well as the opportunities for value-add. “It really is like a blank canvas today,” said Stein. “There’s a real opportunity for us to create a true lifestyle community.” It has great layouts that can be updated; a large clubhouse that hasn’t been retrofitted, updated or modernized; and amenity space this isn’t activated, he said. Stein said the real estate is irreplaceable, which compelled the group to buy for the record-setting price tag. Finding such a sizable asset in what he considered to be an infill location was something the firm had never found anywhere in the country. In addition, having Koelbel, the original developer, stay on was important, said Stein. “We wanted to be the ones that took that original vision for The Breakers and bring it into the future,” he said. With Pensam now the majority owner, Koelbel expects the two companies to put somewhere between $25 million and $35 million into substantial upgrades. The value-add plans will come in three main forms – interior upgrades, amenity upgrades and rebranding, said Stein. The heart and soul of the new Breakers Resort will lie in its amenities. The most central being a complete face-lift to the large clubhouse, the Catamaran Club. Within the space, the fitness facility will be reconfigured and will offer a full range of classes, nutrition programming and other high-end gym perks. They are adding a 3,000-square-foot bistro to tie in a food and beverage concept. Creating a food element in a value-add space in a suburban property is unique and a first for Pensam, Stein said. The plans to activate the lake area will include waterfront activities, such as stand-up paddle boarding and nonmotorized boats, and activation of the 1½-mile path around the lake with proper lighting, calisthenics stations and pet stations. Bark parks will be relocated and enhanced to encourage residential use. There also are tentative plans to repurpose some of the individual community clubhouses. Nothing is finalized yet, but a variety of ideas are being considered, such as a daycare center, cyber café or bike/ski repair, to transform the underused assets for the next generation of residents. “We’re looking at taking assets that are already in place, repurposing them and adding additional amenities to everything that we have to offer,” to make them attractive to the younger generation and continue to set the community apart, Koelbel said. Pensam likes to distinguish itself among competitors for going above and beyond what is typical of today’s value-add interior renovations – the stainless appliances, granite countertops and faux wood floors. With the firm’s in-house interior design and architecture department, they set out to add upgrades that will be timeless in 20 years time, Stein said. Examples include adding Nest thermostats, creating keyless entry and using high-end residential backsplashes and rain showerheads, all to accomplish a high-end luxury condominiums or hotel feel. The third part of the value-add plan is the focus of Pensam’s short-term goals for the property – to rebrand it. The firm is in talks with local PR firms to begin the process that will include a new name, logo and image, targeting the active lifestyle community. Koelbel said he knew Pensam was the right partner because the firm was interested in having the original developer stay in and because the two companies are philosophically aligned in the view that the Breakers Resort is a long-term legacy ownership project, Koelbel said. When he looks back over the history of the project, he’s most proud that his company has been a part of it for its entire 27-year history and that the strategic vision he and Feld created, which was so new and different at the time, can still be applied today, he said.